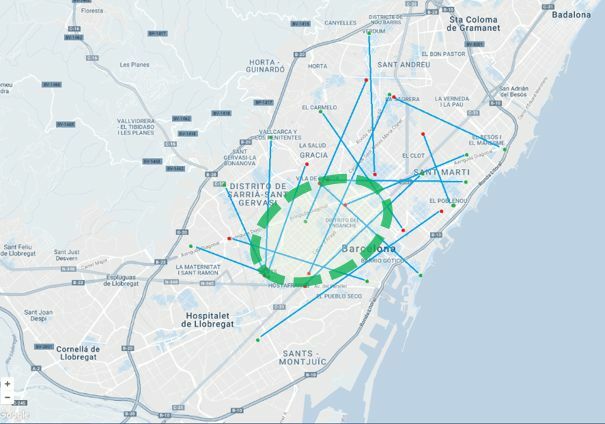 The objective of this project is to collaborate in the Demand Responsive Transport Study that is being carried out in Barcelona by a group of CARNET partners. 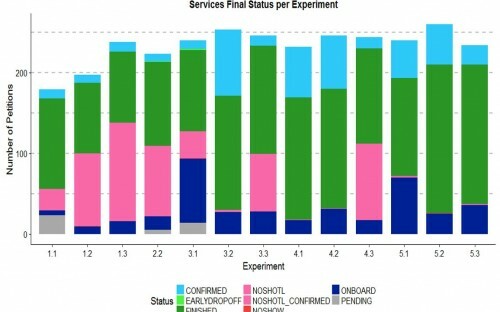 Make a design, maximizing the results quality and the number and levels of parameters evaluated. 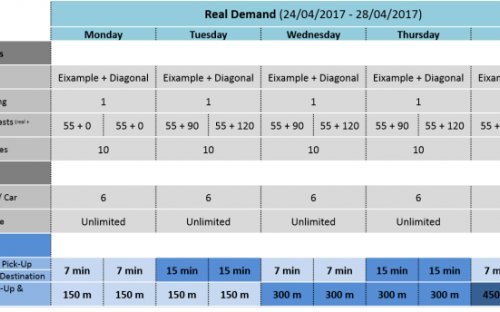 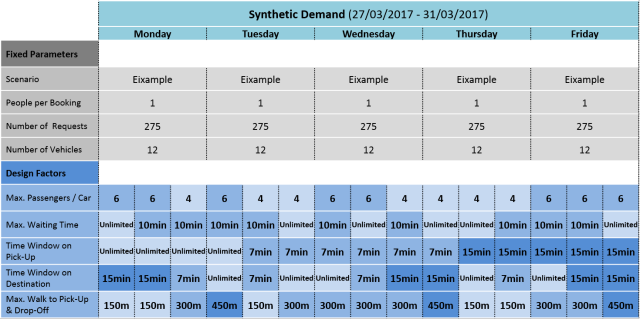 Provide OD pattern and inter-arrival times of requests for the first week of the Pilot based on Synthetic Demand Requests. 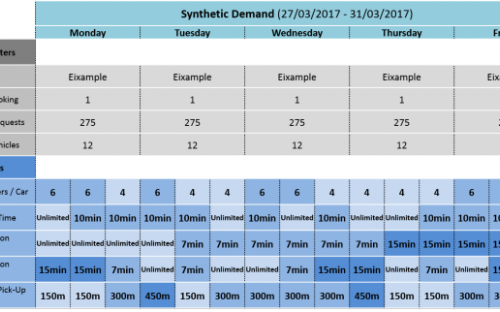 Set the selection criteria for volunteers and filter the available volunteers to obtain the sample for the second week of the Pilot. 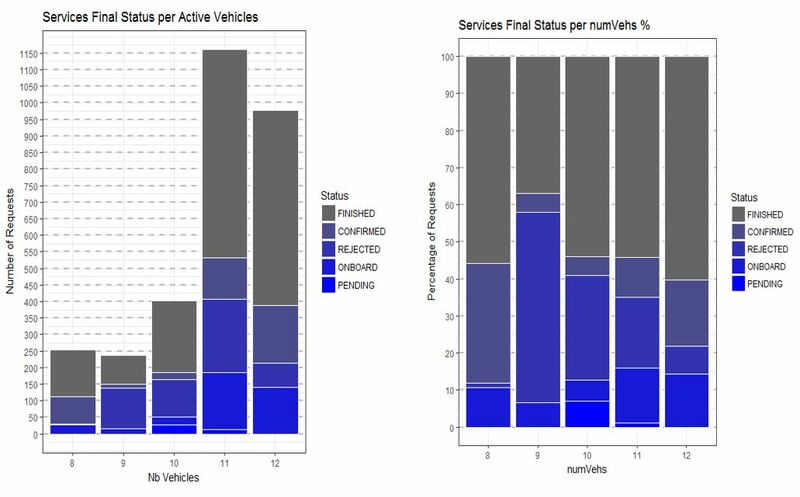 Test on the street to validate the system before the Pilot, by doing some real trips with the collaboration of Shotl (app and server). For example using only one car and the partners of the project as users during a morning. Analyze Pilot results for the 2 fieldtest work, with the objective of evaluate the impact of the design parameters on the KPIs defined with the other partners of the project.